+1 is a swedish 80s synthpop band made up of Ulf Alvedahl (aka Hull Alvvalley), Thomas Larsson, Thoth, Caj Ehrling and Magnus Wahl (aka Bonk Wahl). They had three hit songs on the Swedish Trackslistan charts in ‘85-‘86. 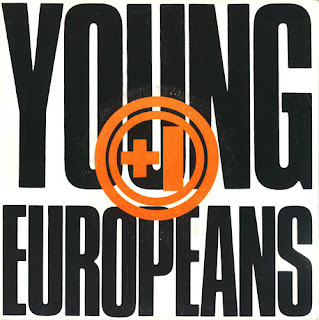 The band released one album called Young Europeans in 1985 and the singles (I Don’t Want To Be Left Alone) Tonight, Nevermore (with varied mixes and b-sides) and Young Europeans (7”).